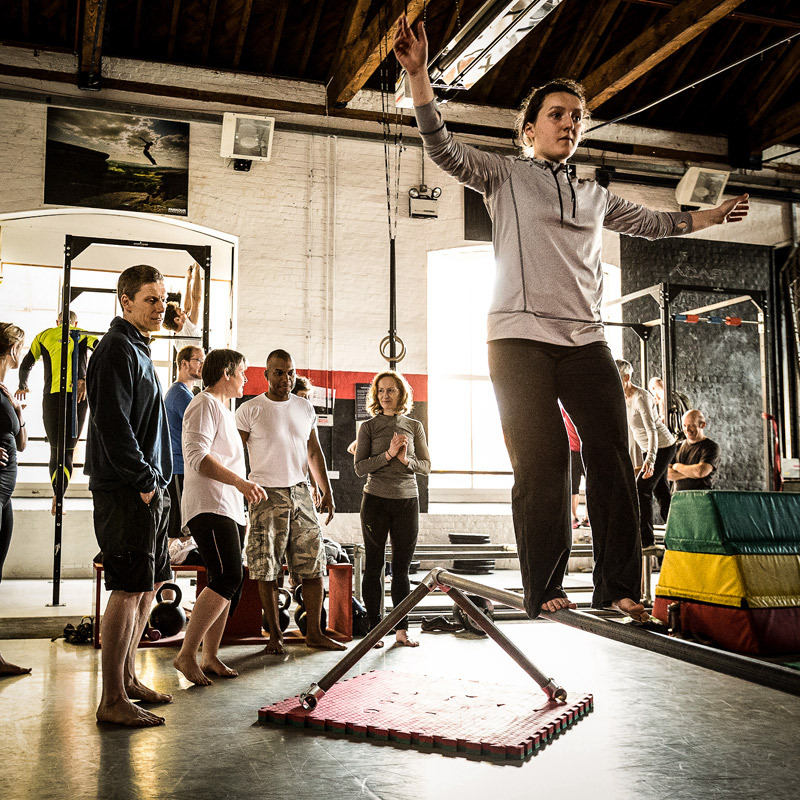 Welcome to Part 2 of my MovNat Urban Training Journal series. You can click here to read part 1. Let me be upfront and just say it: this program has been an abysmal failure (for me). Weeks 1 and 2 went as planned, but it all came crashing down in week 3. Not literally, thankfully, but definitely figuratively. I was very convinced this carefully engineered short term training program – a throwback to how I used to train in my youth, albeit with more MovNat flavor – would simply up my strength and power game and add to my overall capability. But that’s not what happened at all. In reality, after couple of weeks, it quickly digressed. First, my spine started to feel overly stiff. Likely, it was the normal amount of stiffness I had pre-MovNat. But with the newfound litheness I had earned through a few years of Natural Movement practice, the contrast of a more conscious sensation of stiffness was nothing short of annoying. Next, my legs started to grow to crazy proportions. Running became clunky and inefficient. My hamstrings wound up more than I liked, despite plenty of ground movement and stretching. The final straw was my hips. Oh, how dare I say…delicious it felt to finally have rangy hips for floor sitting and smooth ground movement. Bottom line: I wasn’t prepared to say “hello” again to uncomfortable floor sitting, overly tight jeans, nor restricted hips. Maybe the issue is my body likes to rapidly adjust my neurological stretch reflex set points to favor strength/power. Maybe, as an advanced lifter, I’ve already tapped deeply enough into my nervous system that the loads I use just tax my body more than I can recover from properly (hence the stiffness). Or maybe, I’m just too old for the overall volume/intensity of a 4 day strength split. Whatever the reason, it was time to modify this program and get back to my (newer) foundation of movement; to fully embrace the MovNat motto of prioritizing “competence before capacity”; and to respect the trade-offs and limitations my body was presenting instead of ignoring them until injury. Note #1: You’ll notice a shift from the weekly split being “Strength focused day 1, Power focused day 1, Strength focused day 2, Power focused day 2 (the format from Weeks 1 & 2) to the new format of Strength/Power focused day 1, Movement focused day 1, Strength/Power focused day 2, Movement focused day 2. The “movement focused” days had less emphasis on going heavier, and more emphasis on just doing challenging movements with mindfulness of technique. Note #2: MovNatting in a gym is slightly awkward. Videoing yourself MovNatting in a gym is VERY awkward and also challenging due to the wide angle nature of the movements. Apologies for not capturing as many videos this week! Run and play in local parks and/or mobility focused sessions. Just because you live in a concrete jungle, doesn’t mean you can’t practice natural movement. If you want to learn how to move naturally in any environment – natural or man-made – please join us for a MovNat workshop or certification soon. You’ll return home with a collection of movement skills you can practice anywhere you happen to be. 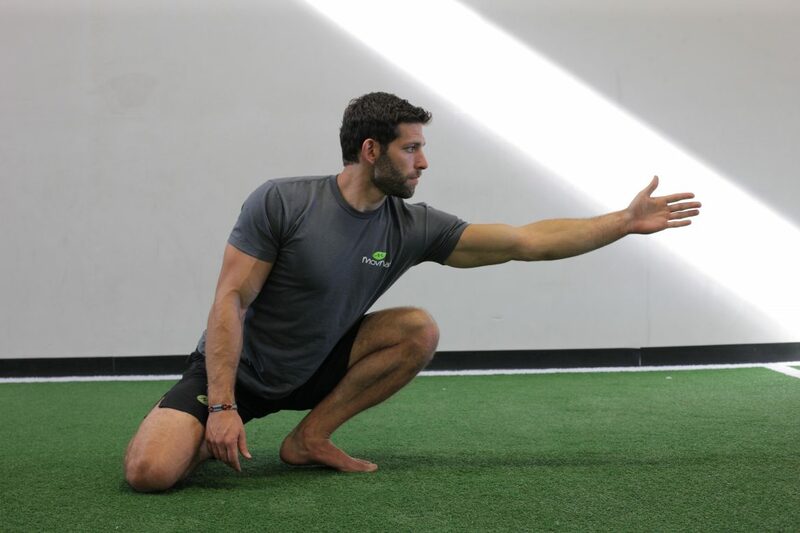 Want some Help Getting Started With Natural Movement? 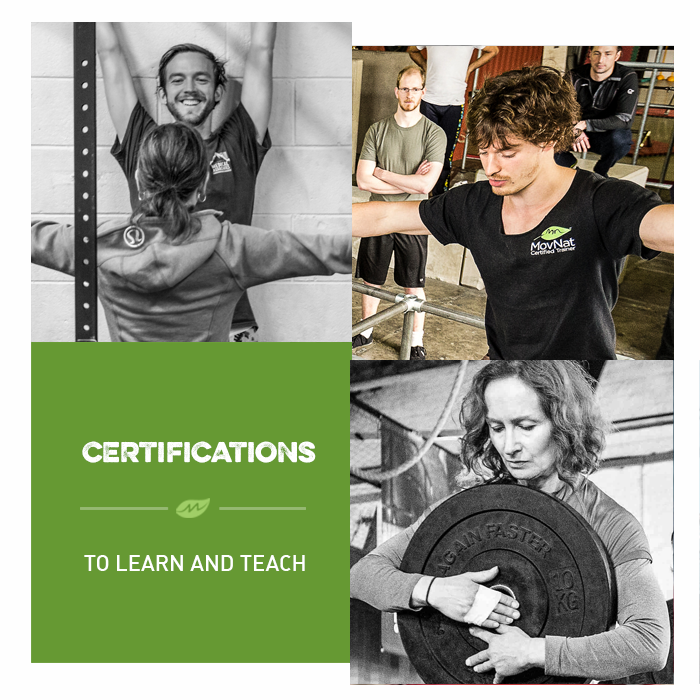 If you’d like to learn more about natural movement fitness and the lifestyle behind it, consider attending the MovNat Level 1 Certification or a MovNat Workshop. We hold events all around the world. And if you’d like some help with the programming side of things, check out our MovNat Online Coaching Program. I couldn’t help but chuckle. As I’ve been “that person” when I’ve spent some times in gyms. On the one occasion that I had a gym membership, it was so that I could use the heavy bags, group fitness area and mat room. Oh, and the stairwell, to practice vertical jumping. And that was BEFORE I started practicing MovNat.